Paul: False Prophet? Or True Apostle? Home Biblical Christian Articles Winds of Doctrine Paul: False Prophet? Or True Apostle? Yahushua knew that when He returned to Heaven, Satan would seek to destroy the fledgling Christian Ekklesia. By ridicule, by force, by deceitfulness, Satan indeed tried to destroy what Yahushua had raised up. Various phrases, once in a while a full text, from Paul’s writings are taken out of context and used to support the contention that he was a false apostle, brought in by the devil to wreak havoc on the “flock” of believers. These scattered texts and partial phrases are taken out of context and used as “proof” that Paul himself was one of the ravening wolves he warned against. Taking verses out of context should always raise warning flags in every mind. Such claims do not regard the context of the surrounding verses; they do not consider the environment in which Paul was raised nor the culture for which he was writing. 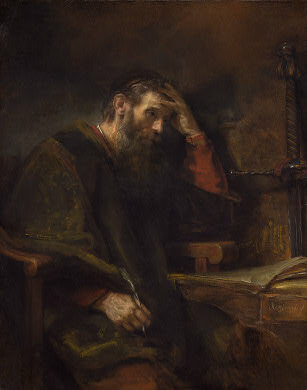 The style of Paul’s writing is consistent with the literary style of the first century A.D. He used a “point-and-counter-point” style of reasoning that was commonly used by the Israelite scholars of his day. 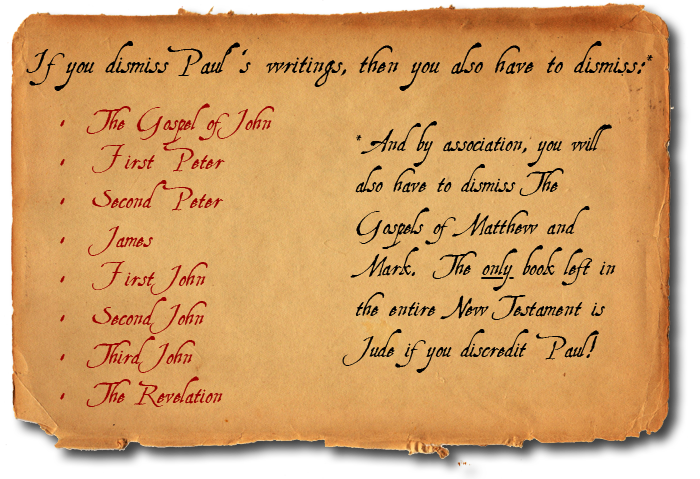 Rejecting the writings of Paul typically does not end with cutting his epistles from the Bible, which account for 14 of the 27 books of the New Testament. Consistency demands that if Paul is a false apostle whose books should be removed from the Bible, then the two books written by his co-laborer, Luke, must also be rejected because Luke clearly supports Paul as an apostle commissioned for Gospel work by Yahushua. The James who extended the “right hand of fellowship” to Paul, was not James, the brother of John, for he had already been martyred by that point. This James was the highly respected step-brother of Yahushua and author of the New Testament book of James. The only books remaining in the New Testament then would be Matthew, Mark and Jude. Nor are these unassailable. The gospels of Matthew and Mark support Peter and John as men commissioned by Yahuwah. But if Peter and John are untrustworthy for accepting Paul as one of them, then the judgment of Matthew and Mark is questionable for accepting Peter and John. The only book left in the New Testament is the single-chapter book of Jude. The real danger in setting aside the writings of Paul, however, is found in the motivation prompting such charges against this most prolific of the New Testament writers. Paul was raised and educated as a Pharisee. He was a member of the Sanhedrin. Israelite tradition demanded that any prospective member of the Sanhedrin have the Torah, the five books of Moses, entirely memorized by age 12. Paul’s education as a Pharisee made him very well-acquainted with the Law as well as what part was merely the traditions of men. This made him an extremely capable teacher of the gospel, rightly dividing between Truth and Tradition. Circumcision is one of the statutes. Paul did not argue against circumcision as a statute. He simply clarified that it would not somehow earn one salvation. The entire thrust of Paul’s ministry was righteousness by faith. Clearly understanding that salvation is by grace alone, through faith, Paul’s writings must be understood in the context of his struggle against the heresy of salvation by works. All false religions are based on salvation by works, in one form or another. Even the Israelite religion had degenerated into a system of salvation by works under the traditions of the elders which Yahushua repeatedly rebuked. Gentile believers, coming out of paganism, were easily lured back into the salvation by works taught by “Judaizers.” The Judaizers claimed to believe in Yahushua as the Messiah, but their influence was to return to the traditions of men as the means to salvation. They rejected salvation as a free gift received when one chooses to believe in the Saviour. Adopting the traditions of the Jews does not bring one salvation. Wearing tassels and head coverings does not recommend one to Yahuwah. Using Hebrew words that no one else can understand does not make one a better Law-keeper. Salvation by works is very alluring to fallen human nature. Adopting Jewish traditions, clothing or words can easily make one feel superior to those who do not adopt the same traditions. Whether the life-style choices are founded on Scripture or are merely Jewish tradition, the point is that salvation by works may feed the ego but will never earn anyone salvation. Law-keepers will be careful in diet and dress. But to use it as a standard by which to judge one’s merits, destroys the very essence of the Law which is Love. Salvation by works will never save anyone. Satan knows no one will ever be saved by works. He has led people to misunderstand Paul’s writings and reject the clearest teachings in Scripture of the vital doctrine: righteousness by faith. Here is the real secret behind the rejection of Paul. Paul’s clear understanding of the Law versus Tradition led him to reject the law as the means of earning one’s salvation. Paul taught that the Law should be kept. However, he understood it can only be kept by faith in Yahuwah. The only hope anyone has is to cease trying to work one’s way to Heaven. Accept that all the “works of the law” you have performed cannot save you. 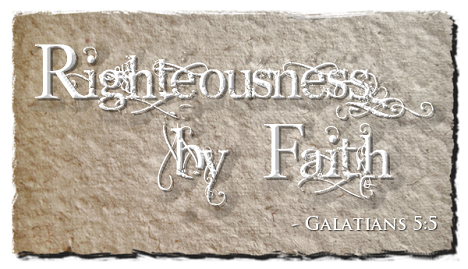 Righteousness by faith means Yahushua lives out His life in you. Your will is brought into perfect harmony to Him. Then and only then is the divine Law perfectly kept. Do not be swayed by the varying winds of doctrine. 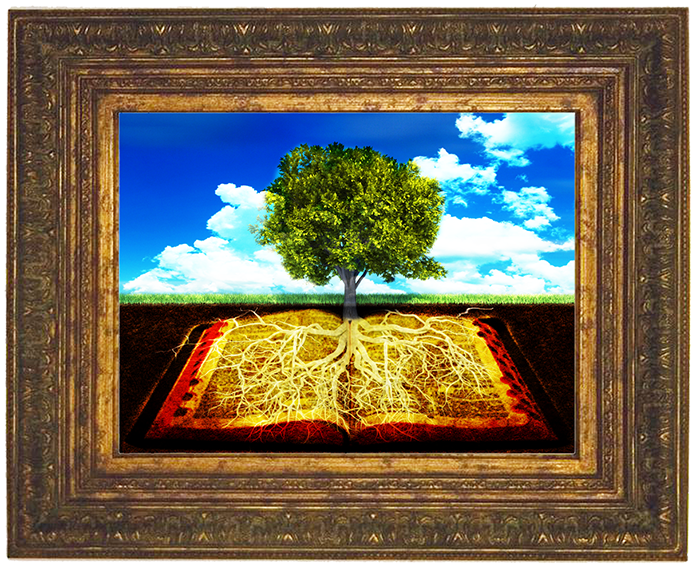 Be rooted and grounded in Scripture. Accept the righteousness of Yahushua by faith. You, too, can experience the joys of salvation through faith in the merits of the Saviour.